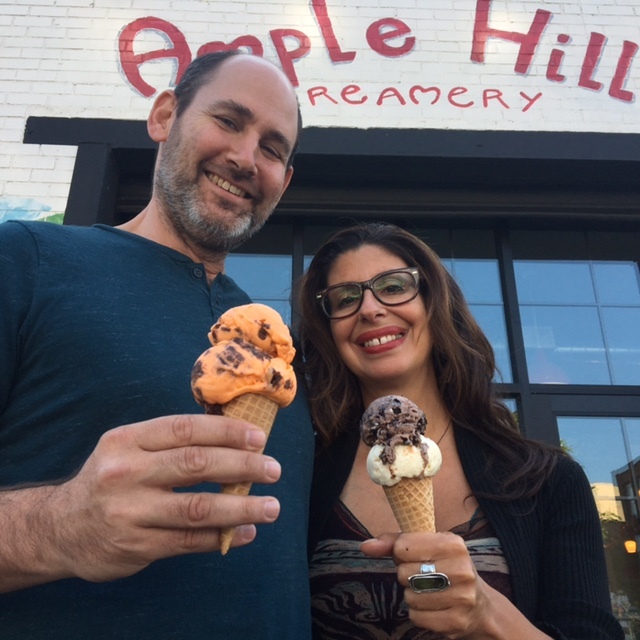 Brian Smith and Jackie Cuscuna are the co-founders of the delicious, creative and playful ice cream company, Ample Hills. They both have past careers as teachers, Brian later went on to become a screenwriter and director before founding Ample Hills. Ample Hills are known for their chunky ice creams and wacky names but did you know they make every single ingredient from scratch? Brian gives us a basic guide on how to deconstruct a food and recreate it as ice cream and we get Ample Hill’s opinion on the artisanal ice cream scene and where they draw their inspirations from. Ample Hills artisanal food Brian Smith food entrepreneurs ice cream Jackie Cuscuna Patrick McAndrew Why Food?